It was the need of time. 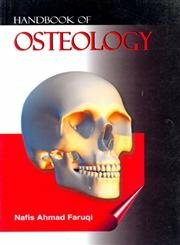 With the reduction of 1st Professional MBBS curriculum in basic sciences to one year, students could hardly afford presently available textbooks of osteology. The idea behind the present contribution was to minimize the description, without compromising with essential informations, in a lucid manner. The unique feature of this book is its diagrams, which have been independently drawn by author himself, to minimise the factual inaccuracies. Coloured line diagrams have been included to provide support to the textual description. Clarity in the language and way of presentation further enhance the value of the book.1. General Considerations of Bone 2. Clavicle 3. Scapula 4. Humerus 5. Radius 6. Ulna 7. Carpal Bones 8. Metacarpal Bones 9. Phalanges of the Hand 10. Hip Bone 11. Femur 12. Patella 13. Tibia 14. Fibula 15. Tarsal Bones 16. Metatarsal Bones 17. Phalanges of the Foot 18. Vertebrae 19. Sternum 20. Ribs 21. Hyoid 22. Mandible 23. Maxilla 24. Parietal Bone 25. Frontal Bone 26. Temporal Bone 27. Occipital Bone 28. Zygomatic Bone 29. Nasal Bone 30. Lacrimal Bone 31. Ethmoid Bone 32. Inferior Nasal Concha 33. Vomer 34. Sphenoid Bone 35. Palatine Bone 36. Skull (General Features) 37. Exterior of the Skull 38. Interior of the Cranial Vault 39. Interior of the Base of the Skull. Dr. Nafis Ahmad Faruqi did his MBBS (1976) and MS in Anatomy (1981) from J.N. Medical College, Aligarh Muslim University, Aligarh. He has been teaching anatomy since 1979; he was promoted as professor in 2003. Neuroanatomy and morphometry are his special areas of research. He has produced about a dozen papers in neuroanatomy and half a dozen in morphometric studies which have been published both in national and international journals. He has supervised and co-supervised many postgraduate candidates in anatomy and other medical subjects and participated in several conferences and research courses. Owing to his exceptionally bright academic career, he was offered membership of New York Academy of Sciences in 1997. He has also to his credit about half a dozen books during his almost 27 years of teaching career.